Wine-tasting is an art-form to some and with Fall in full swing, the time to get into it is now. It’s OK to not be an expert; just the name of this wine will have you speaking like a connoisseur. Kim Crawford Sauvignon Blanc is an exuberant New Zealand wine with a zesty and fresh finish. Each sip brings forth a plethora of fruit flavors, including apricot, nectarine, passion fruit and honeysuckle. At its simplest, a granita is frozen fruit juice. 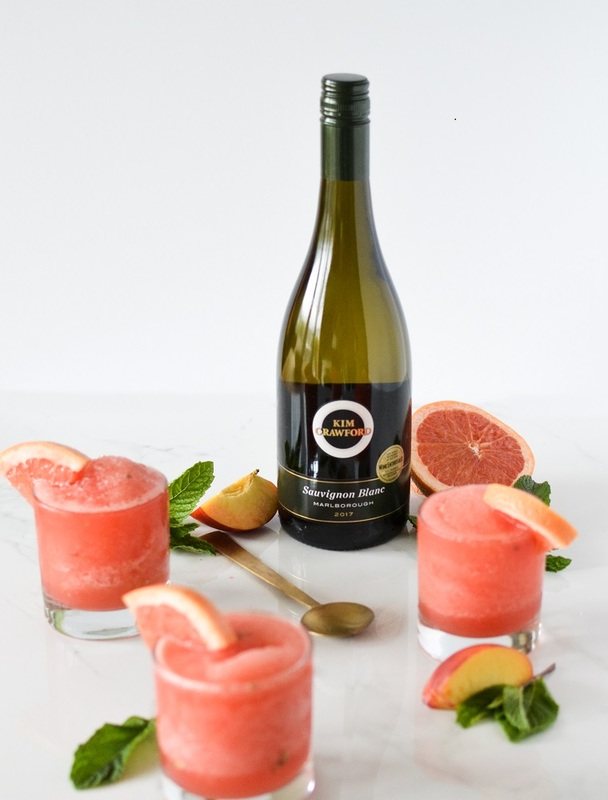 A great alternative to ice cream, making a granita out of this wine is easy and delicious, perfect for hot days and entertaining friends. Pour juice and wine into a shallow plastic container, cover with plastic wrap and place in the freezer. Using a fork, stir the mixture every 30 minutes, breaking up the ice until granita is frozen (about 3 hours). Scoop into chilled coupe glasses. Garnish with edible flowers and serve with a dessert spoon.